The sinking of the Sewol one year ago highlighted, among several other issues, the failure of the Korean media to report on the unfolding situation in an accurate and professional manner. Koreaâ€™s second-largest newspaper, the JoongAng Ilbo, published a full-page apology to its readers soon after the disaster, seeking forgiveness for its faulty reporting. John Power is an Irish journalist based in Seoul since 2010. He has written over 200 articles on a broad range of Korea-related topics, including food safety, domestic violence, politics, libel law, rail safety and various other issues. John has worked for The Korea Herald and Yonhap News, and has published his work in several international media outlets, including Christian Science Monitor, The Diplomat, the BBC, Australiaâ€™s ABC and Irelandâ€™s RTE. This year will mark theÂ 70th (and not the 60th, as we erroneously refer to in episode's introduction)Â anniversary of the end of the Second World War. Yet, whereas European countries have learnt to live and thrive with each other, this seems far from being the case for Korea and its former colonial master: Japan. Historical disputes are commonplace and the relation between the two states seems to deteriorate year after year. Why do these historical disputes exist between Japan and Korea? Under which conditions did they develop and why have they not been resolved since the end of the Second World War? In order to answer these questions, we had the privilege of speaking with Professor Kan Kimura. Professor Kimura obtained his Bachelor's, Master's and Phd in Law from Kyoto University, writing his doctoral dissertation on South Korean nationalism. A Professor at Kobe University's Graduate School of Cooperation Studies since 1997, he was also a visiting scholar at various institutions, including Korea University, the Australian National University and Harvard. Professor Kimura was also a member of the First and Second Japan-Korea Collaborative History Research Committees initially set up by Japanese Prime Minister Junichiro Koizumi and Korean President Kim Dae-jung to promote "mutual understanding concerning accurate facts and recognition of history." One of these critics is Professor Park Kyungsin, who has been advocating freedom of speech and opinion in South Korea, especially online. He gracefully agreed to be our guest for this episode, to talk about internet and press censorship, defamation and libel law, and the political environment of these measures. Professor Park is a lawyer and law professor at the Korea University Law School, the Executive Director of the PSPD Public Interest Law Center, Commissioner at the Korean Communication Standards Commission and one of the leading figures behind OpenNet, a non-governmental organization defending the freedom and openness of South Koreaâ€™s internet. He earned his J.D. from the University of California at Los Angeles and an A.B. in Physics from Harvard. To everyone living in Korea, KakaoTalk is a household name. Yet the popular messaging app is only the poster child of a much larger start-up ecosystem. Forbes Magazine hailed Korea as â€œthe next global hub for tech startupsâ€, and the government pledged to spend several billion dollars to foster a â€œcreative economyâ€. To learn more about entrepreneurship in Korea and understand the macro-trends at work behind the scenes, we had the pleasure to talk to Richard Min. Richard founded two of Koreaâ€™s first major startup accelerators: SeoulSpace and KStartup, attracting investment from global brands such as 500Startups, Samsung and Googleâ€™s Entrepreneurship Program. He is currently a Venture Partner at Naxuri Capital and the Managing Director of Fashion Technology Accelerator, here in Seoul. Richard is also the founder of the +822 Convergence Conference and Cityfest, which will take place in Seoul this october. He hosts his own weekly show on TBS Primetime radio and was featured in several news outlets, including INC Magazine and Bloomberg. During the 1990s, North Korea suffered one of the worst famines of the 20th century. The result of this â€œArduous March,â€ as the regime calls it, was not only a humanitarian catastrophe: the large-scale suffering also ignited economic and social changes that are still shaping the country today. This is the analysis of James Pearson and Daniel Tudor, who argue in their latest book, "North Korea Confidential", that this experience, although highly traumatic, helped sow the seeds of capitalism in North Korea. In North Korea Confidential, Tudor and Pearson depict a changing society, communist by outside perception only , where the poor now almost exclusively survive thanks to the little businesses they maintain to complement their almost worthless official wages. Pyongyang is the seat of a new economic elite that conducts trade with China and beyond. Foreign currencies have taken over in some parts of the country as the primary medium of exchange, and consumerism seems almost celebrated as a virtue - the winners of North Koreaâ€™s economic revolution flash expensive items and take great care in following the latest fashion trends. James Pearson, a foreign correspondent for Reuters in Seoul and co-author of "North Korea Confidential", is our guest for this episode of Korea and the World. He holds a Masterâ€™s in Oriental Studies from the University of Cambridge, and a Bachelorâ€™s in Chinese and Korean from the University of Londonâ€™s School of Oriental and African Studies (SOAS), where his interest in North Korea began. Behind the glitter of Korea's economic success story lies a land of fault lines and social strife. Regionalism and factionalism are defining aspects of Koreaâ€™s politics and social fabric, while the rights of workers and minorities are sacrificed in the name of economic efficiency and social conformity. The media cannot report freely, foreign journalists and scholars are under pressure to spin a positive image of Korea abroad, and Koreans themselves live in fear of repression should they express ideas their government does not share. This rather grim portrayal of South Korea is what you may be tempted to take away from KoreaExpose.com. 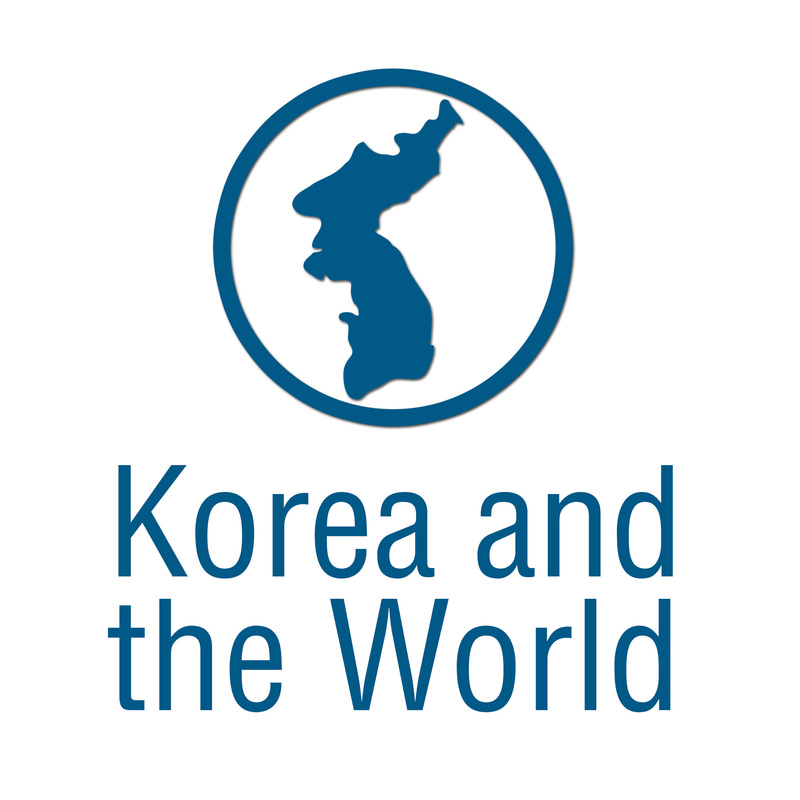 According to its founder and editor-in-chief, Dr. Se-Woong Koo, Korea Expose is dedicated to covering topics that do not receive enough attention from both South Korean and foreign media. As he argues, reporting about poverty, discrimination and disenfranchisement isnâ€™t compatible with the image South Korea wants to broadcast to the world. We talked to Dr. Koo about his plans for Korea Expose, the mediaâ€™s failure to cover difficult and often controversial topics, and some of the injustices Korea suffers from. Suki Kim is a Korean-American writer who was born in Seoul and moved to the United States at the age of 13. Driven by her Korean roots and her family background - her uncle disappeared in the Korean War, leaving her mother and grandmother scarred for life - Suki developed a keen interest in North Korean affairs. After visiting North Korea several times and writing extensively about the land, Suki Kim landed a job as an English teacher at the newly constructed PUST, or Pyongyang University of Science and Technology. Aside from that fact that it was in North Korea, funded by a Christian missionary organization, and that Suki herself was there as an undercover writer, PUST was not a regular college: all of its students were boys and happened to be the children of North Koreaâ€™s highest elite. Suki Kim wrote about her experiences in her most recent book, â€œWithout You, There is No Usâ€, published by Crown Publishing [Group]. The book traces her life during the six months she lived on campus with 270 students, 50 of which she taught personally. She carefully describes her impressions of these young men, how she tried to broaden their horizon as much as she could, and how she felt and survived in a world of mind games and unsaids, where constant propaganda, censorship and the fear of repression so heavily weigh on oneâ€™s shoulders. â€œWithout You, There is No Usâ€ is Suki Kimâ€™s first major book of non-fiction. Her debut novel, â€œThe Interpreterâ€, was a finalist for a PEN Hemingway Prize and was translated into five languages. She also wrote cover feature essays for Harperâ€™s Magazine and The New York Review of Books as well as many op-eds and essays for The New York Times, Washington Post, and Wall Street Journal. She has been the recipient of several high profile scholarships, including a Fulbright Research Grant, the Guggenheim fellowship and the Soros Foundationâ€™s Open Societies fellowship. Suki Kim graduated from Barnard College with a BA in English and also studied Korean literature at the School of Oriental and African Studies in London. Koreans sure like to watch movies: last year, the domestic film industry made more money than ever before. One movie in particular was seen by no less than a third of the population. Korean cinema has also been able to establish itself abroad, with blockbusters such as Oldboy or Snowpiercer being among the most famous examples. A look into South Korea reveals a confusing number of influences: the society is commonly described as Confucian, the politics are clearly influenced by Christianity, yet visit South Korea and you may think Buddhism is the religion of the land - there are temples virtually everywhere. Almost a quarter of the Korean population define themselves as Buddhists. Yet how can we explain Buddhismâ€™s seeming lack of power and influence in shaping contemporary Korean politics and society? Why are there no strong Buddhist political parties or charismatic Buddhist leaders setting the agenda? To find answers, we sat down with Seoul National University Professor Sem Vermeersch and took a long hard look together at Buddhism in Korea, from its introduction from China in the 4th century to our modern times. To the surprise of many, Swiss and Swedish forces are tasked with monitoring the military buildup on the inter-Korean border. Their officers are stationed in Panmunjeom, at the heart of the DMZ's Joint Security Area, where they carry out inspections and review operations. We had the honor of interviewing Major General Urs Gerber about his work there, life in the DMZ, and his dealings with North Korea on a daily basis. South Korea did not only experience rapid economic development, it is also the first country to successfully transition from development aid recipient to major aid donor. How the country handles this new role and provides support to developing countries was the focus of our interview with Professor Iain Watson. In our fifth episode we talk to Karl Friedhoff of the ASAN Institute about what the South Korean public sentiment is towards North Korea, China and Japan, and about the public opinion about the foreign policies of the South Korean government. The portrayal of women in Korea's media and entertainment industry provides the backdrop for our fourth episode. Together with media specialist and acclaimed blogger James Turnbull we explored gender politics in the Korean society and its depiction in Korean pop culture. Our third episode led us to Busan where we met with Professor Robert Kelly of Pusan National University. In our interview we talked about the American role in East Asia, and the ways in which nationalism and territorial disputes complicate the international relations in the region. In our second episode we talked to Daniel Tudor, a British journalist and the author of two books on South Korea. He discusses with us the appeal of the country to foreign audiences â€“ and where the limitations of this appeal might lie. For our first episode we sat down with Andrei Lankov, one of the worldâ€™s foremost experts on the society of North Korea. As he argues, the real North Korea is different from the one we know through the media â€“ and important changes are happening there at this moment.